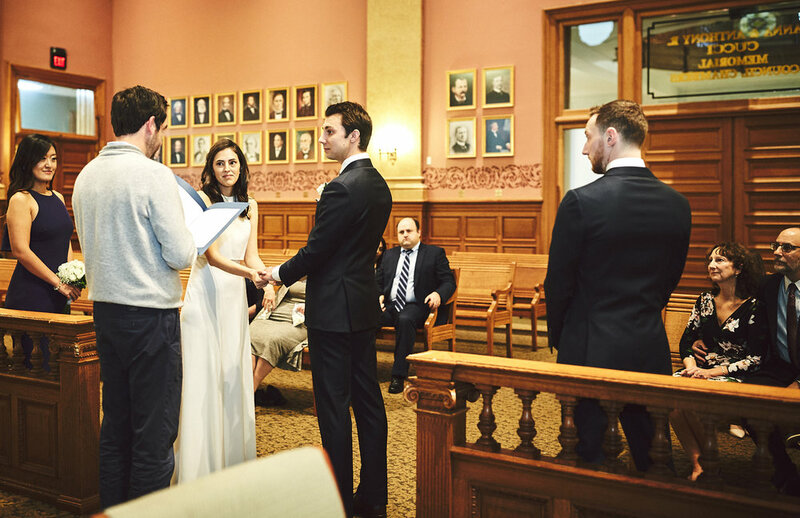 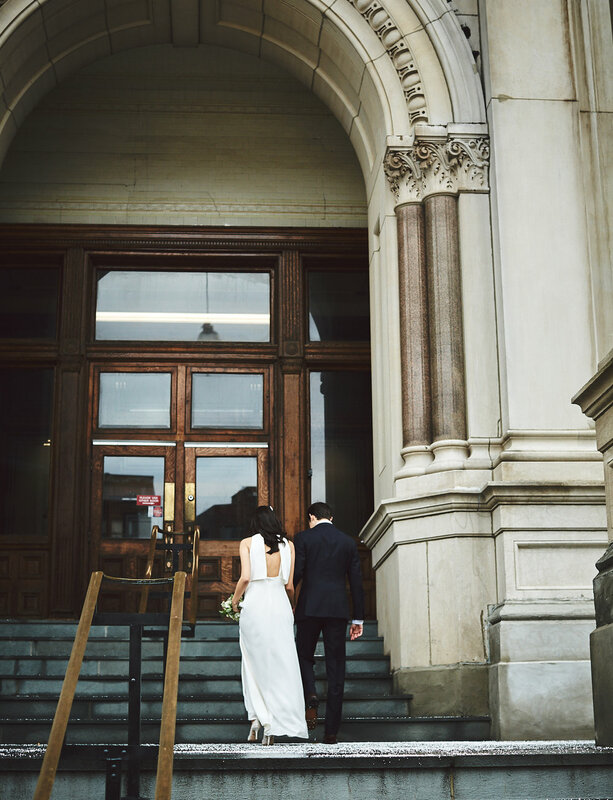 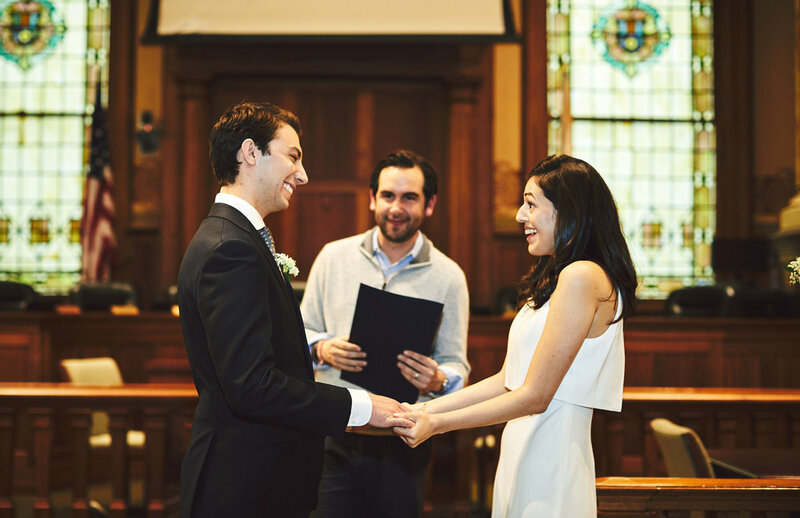 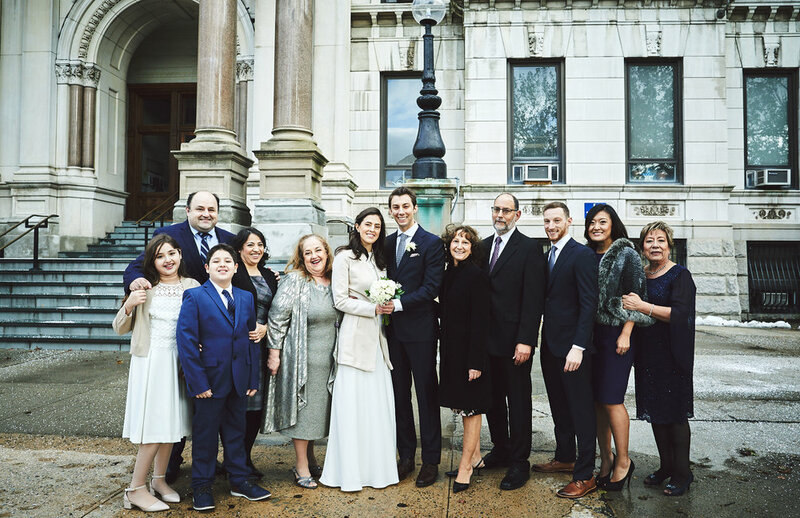 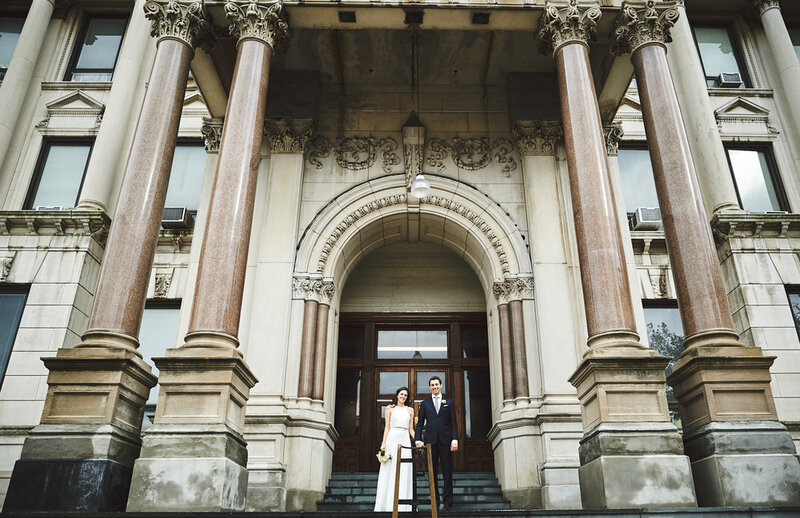 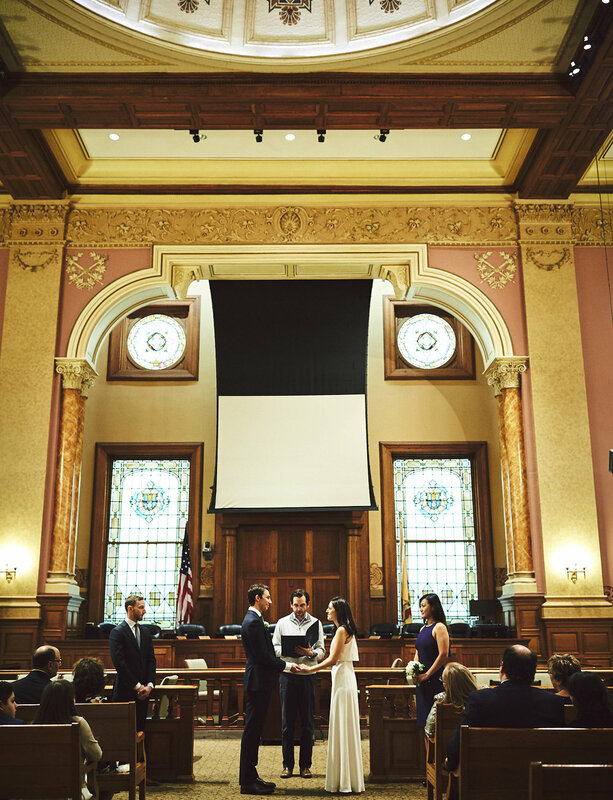 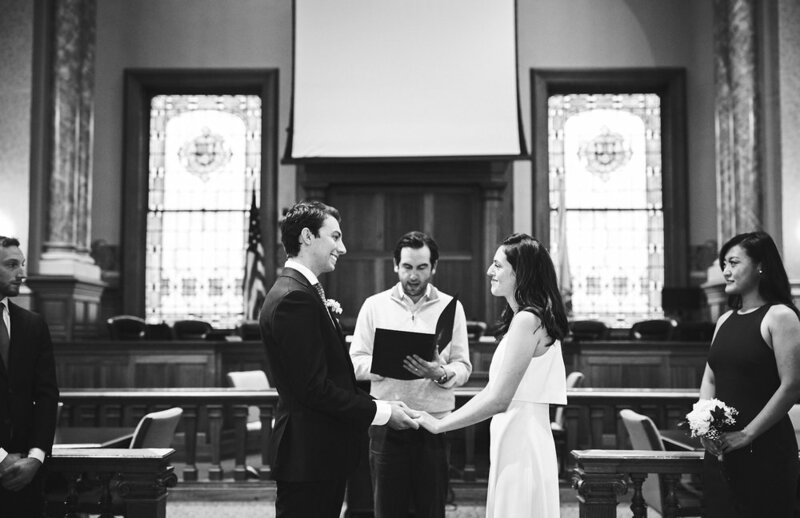 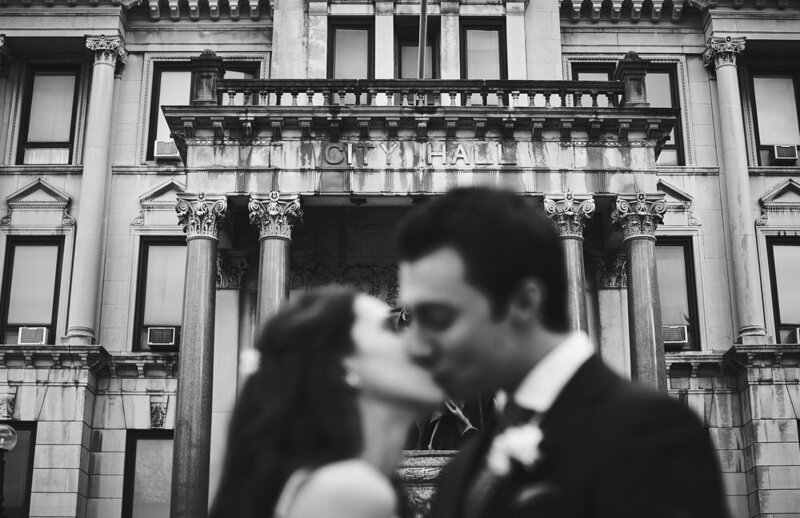 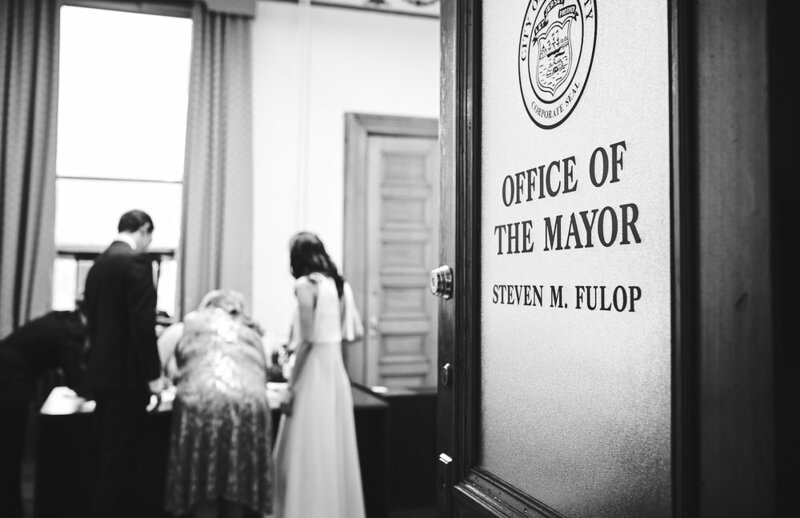 Chris & Alexa celebrated their modern and intimate wedding day in their neighborhood of Jersey City and tied the knot at the Jersey City City Hall. 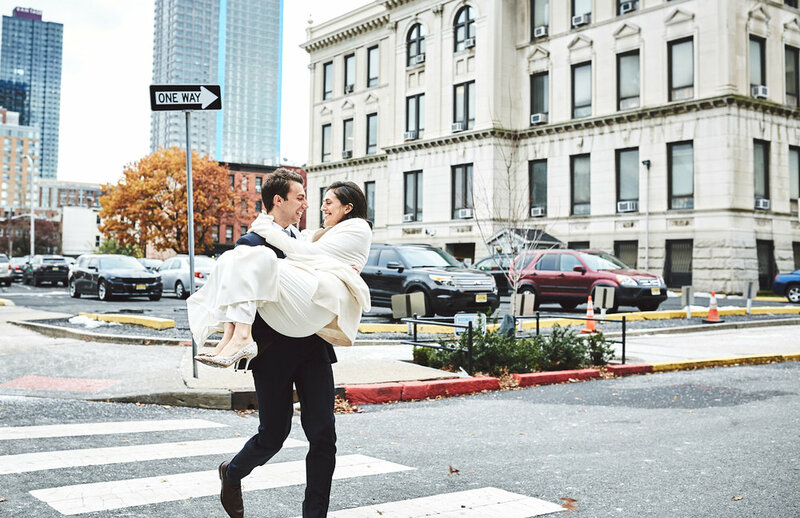 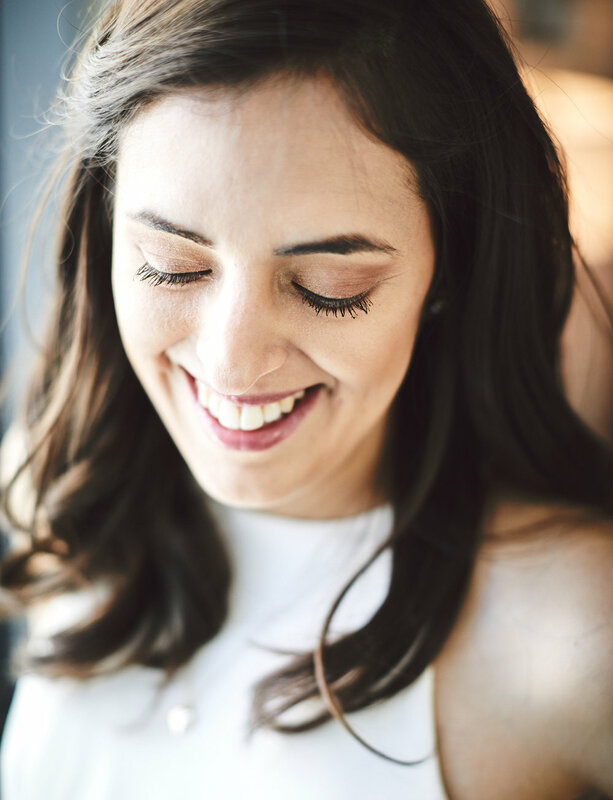 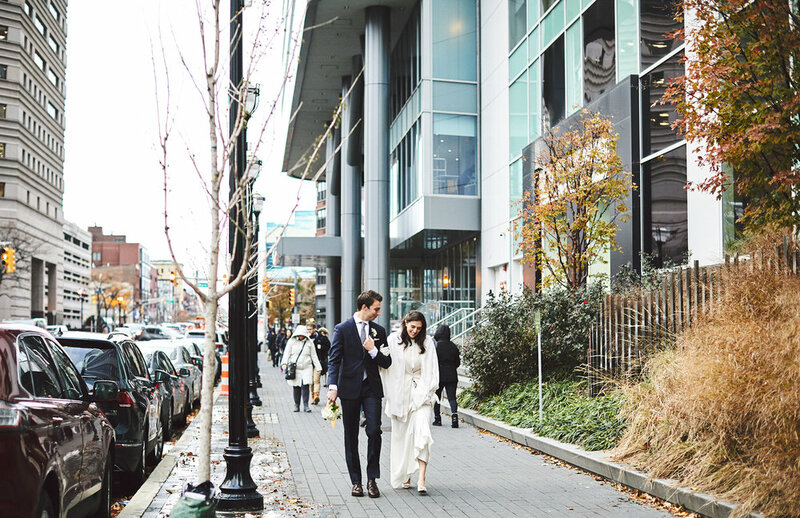 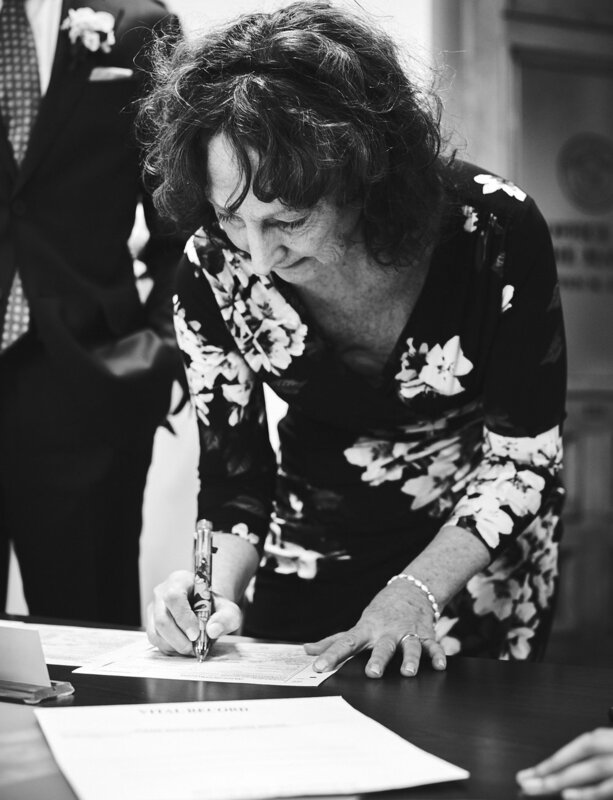 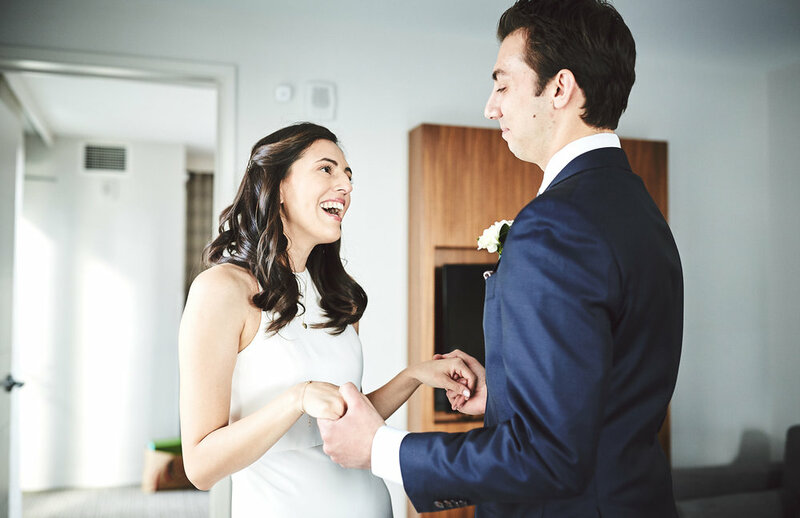 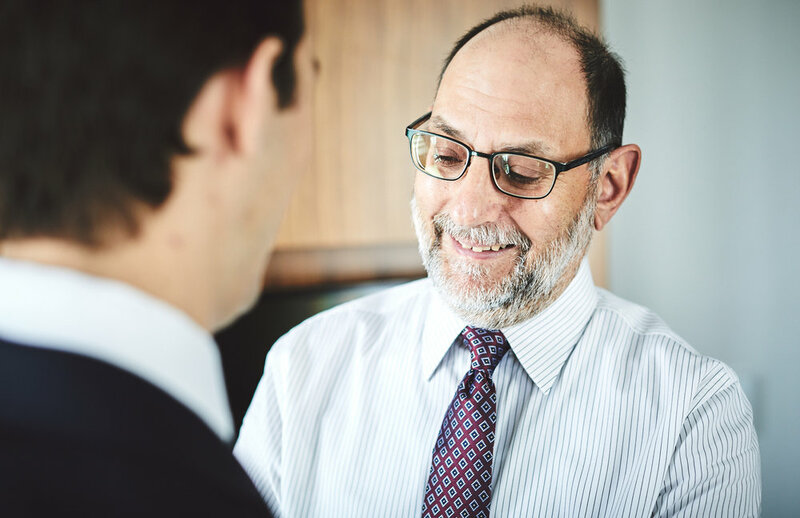 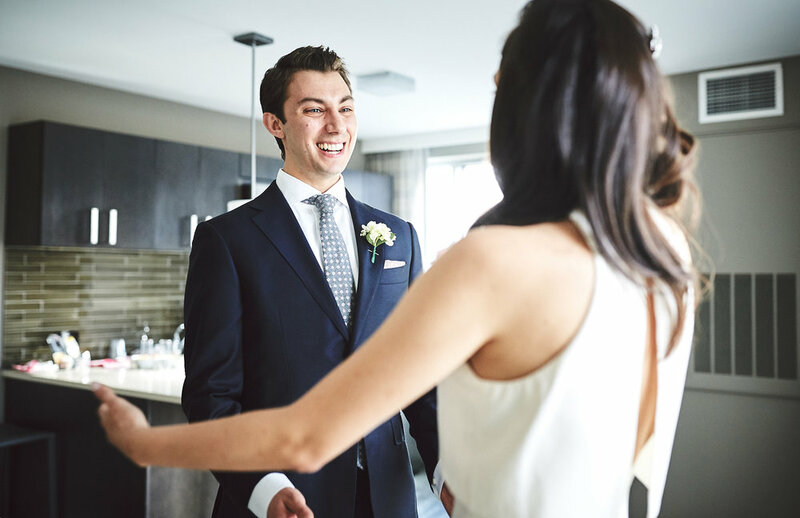 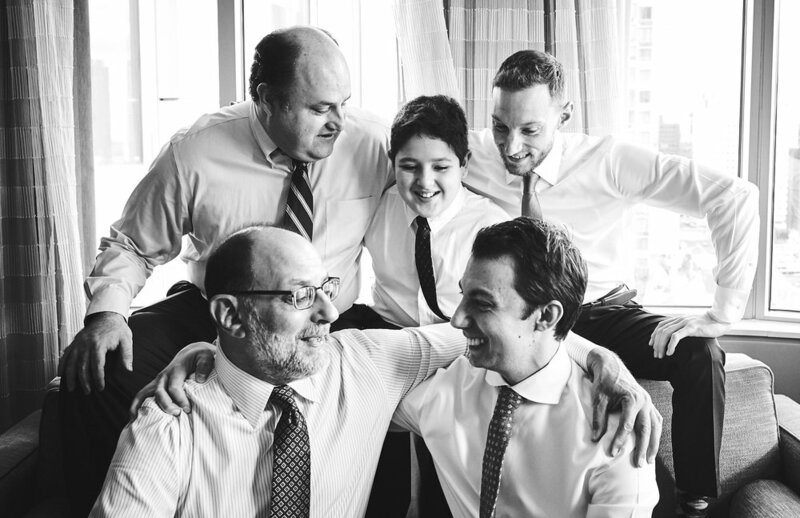 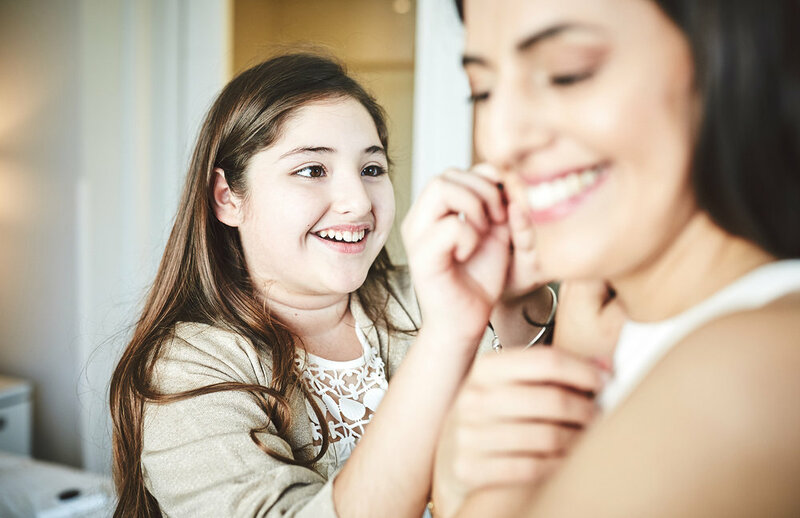 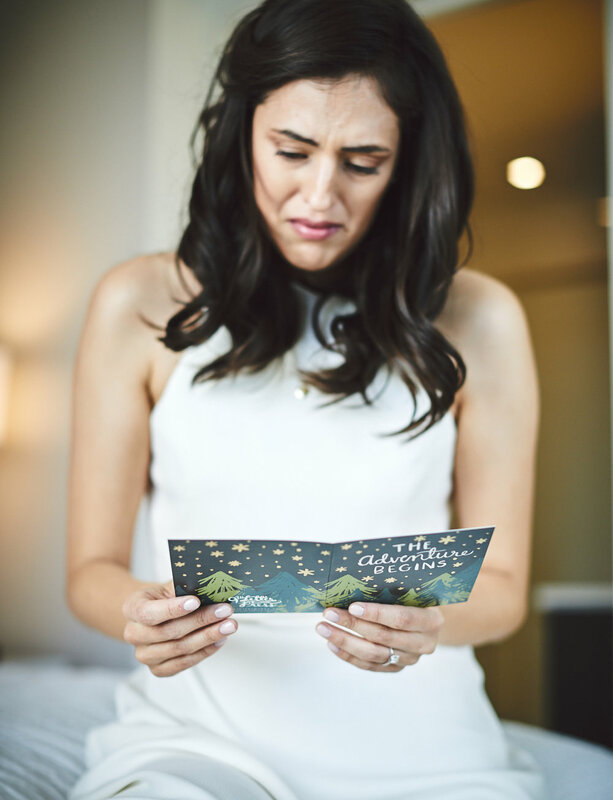 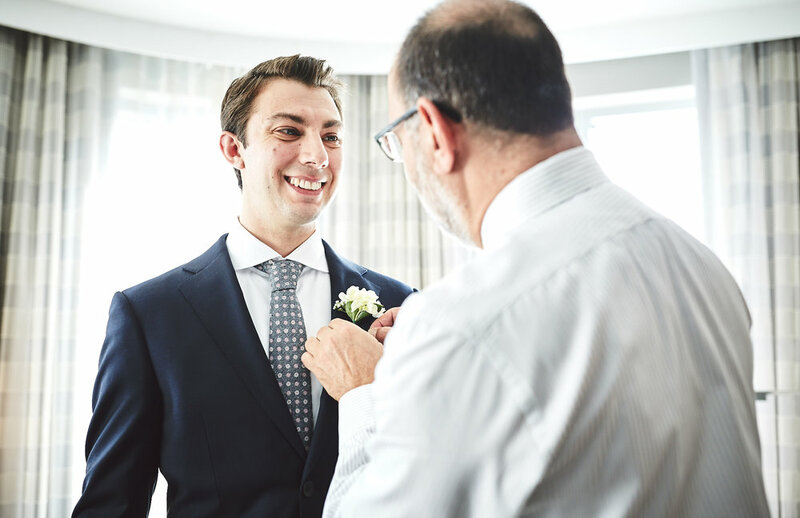 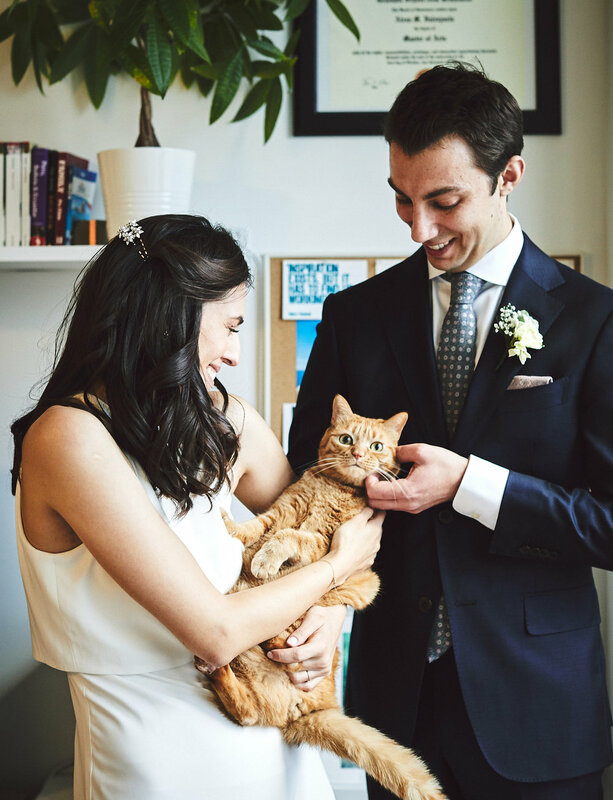 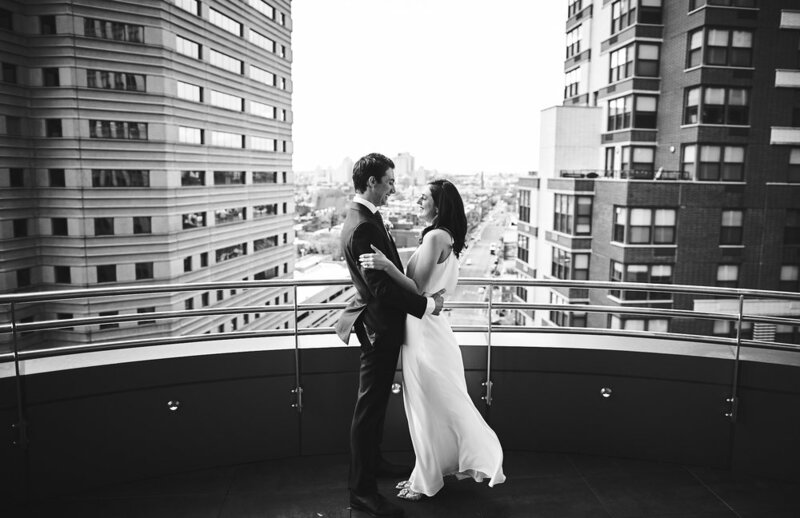 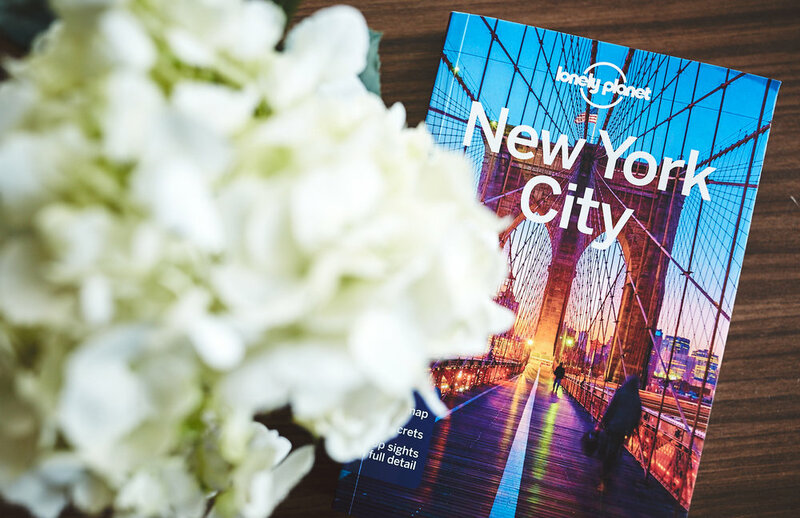 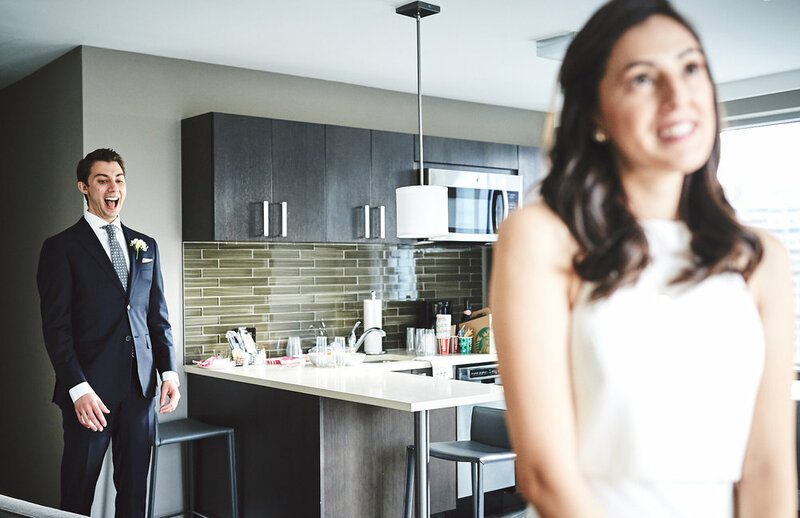 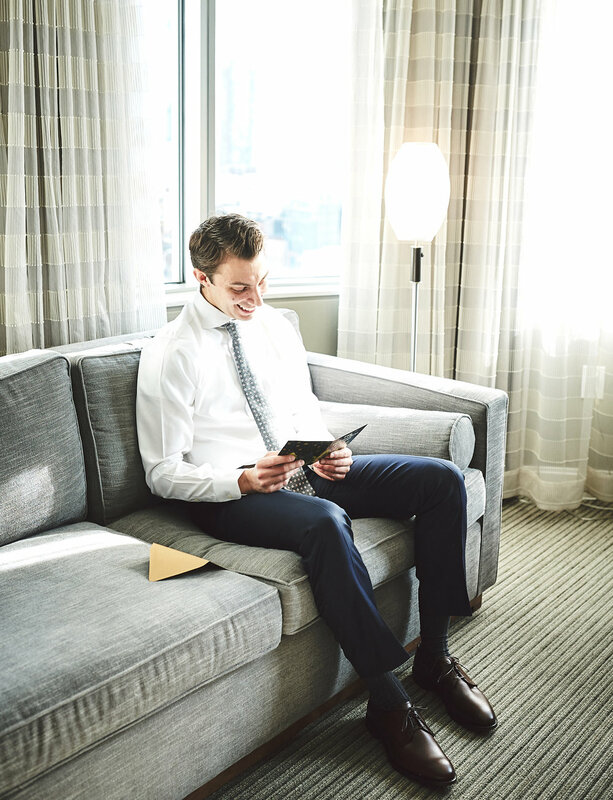 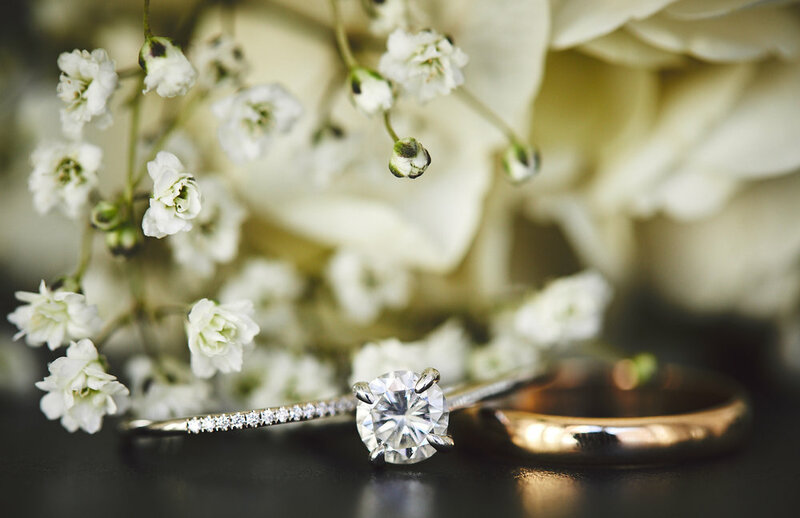 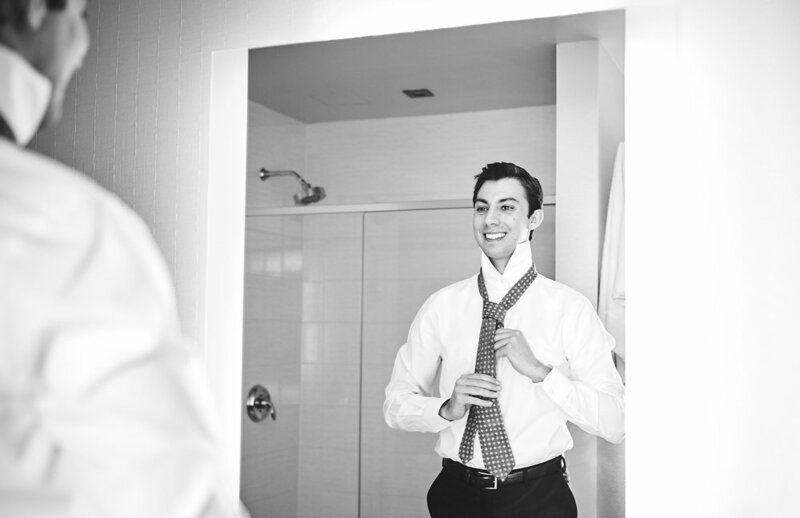 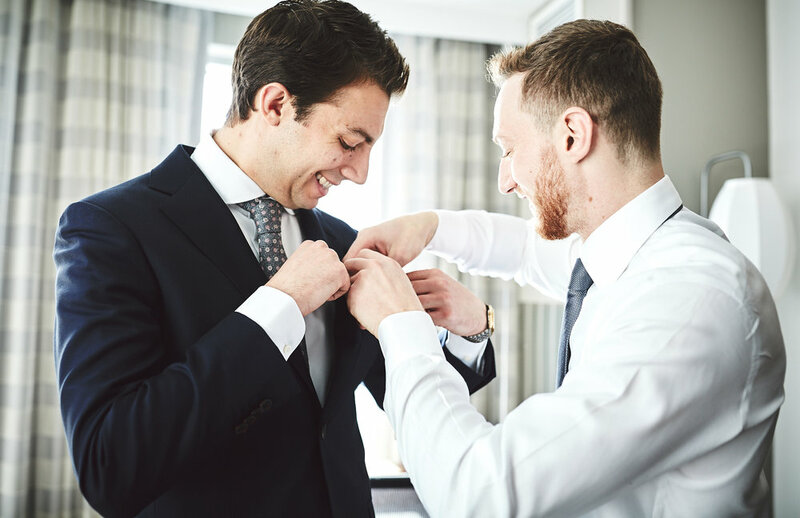 Their wedding day was a simple and elegant affair against the urban Jersey City backdrop and began next door to their apartment at the Marriott Residence Inn, where everyone in their party helped them prepare for City Hall. 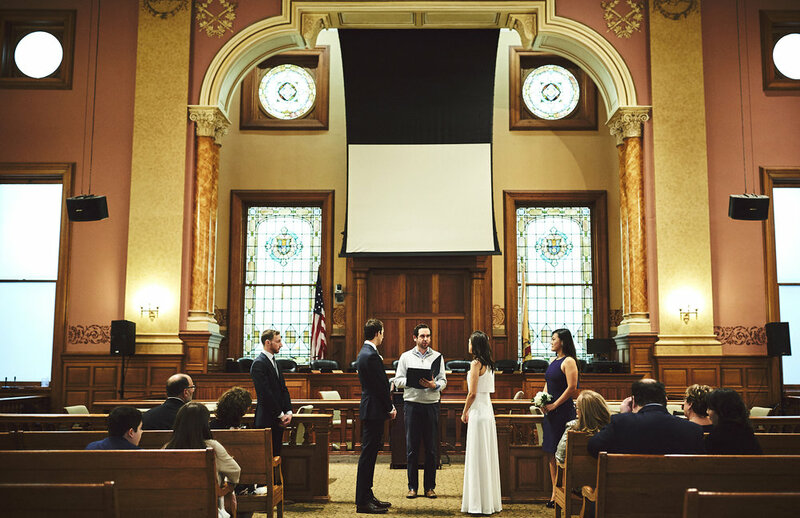 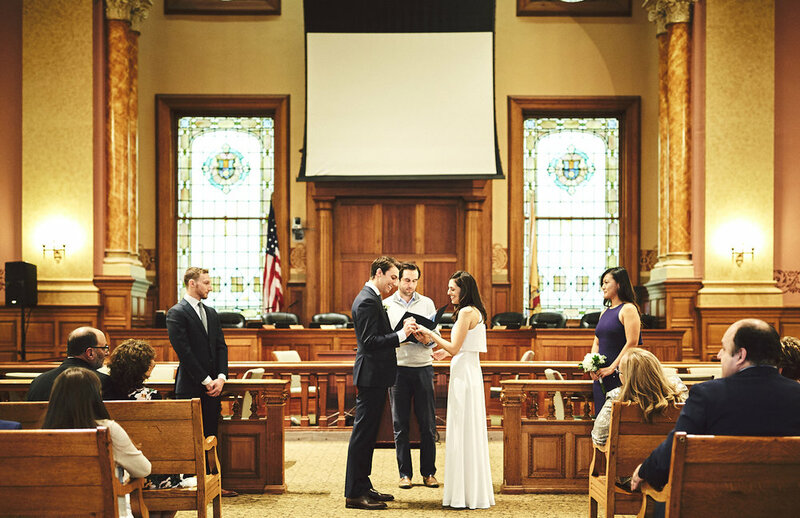 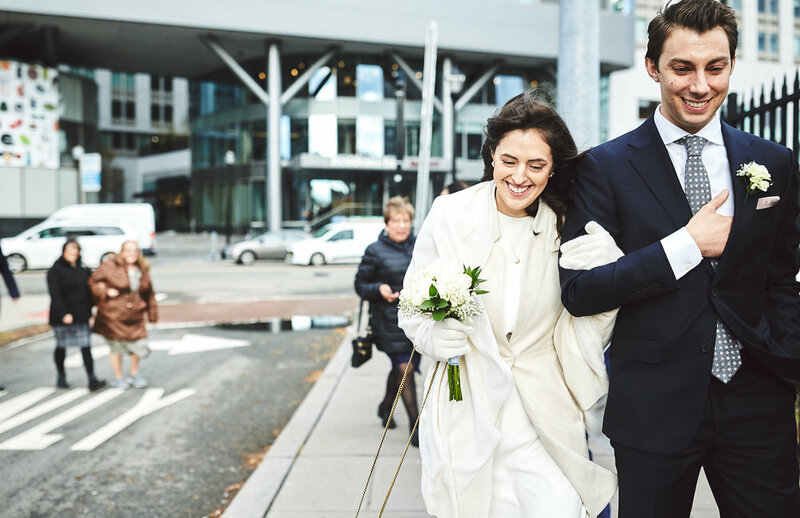 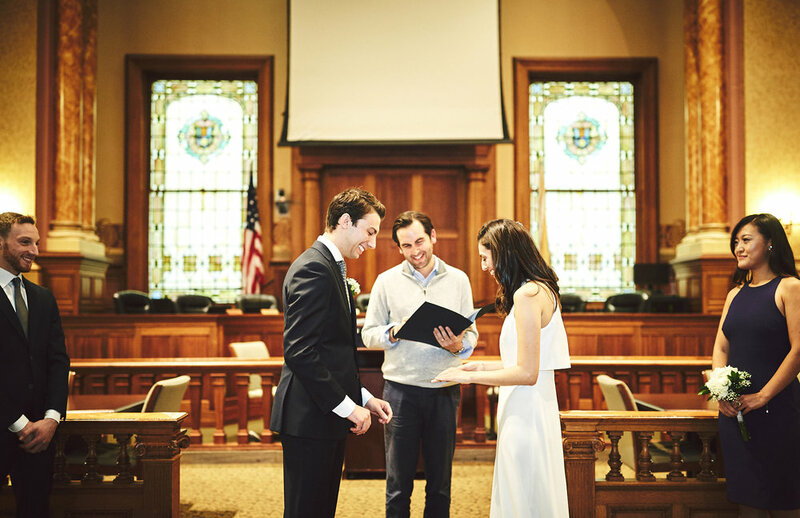 After sharing their vows to one another through exchanged cards in the morning, they enjoyed a private first look before walking over to City Hall. 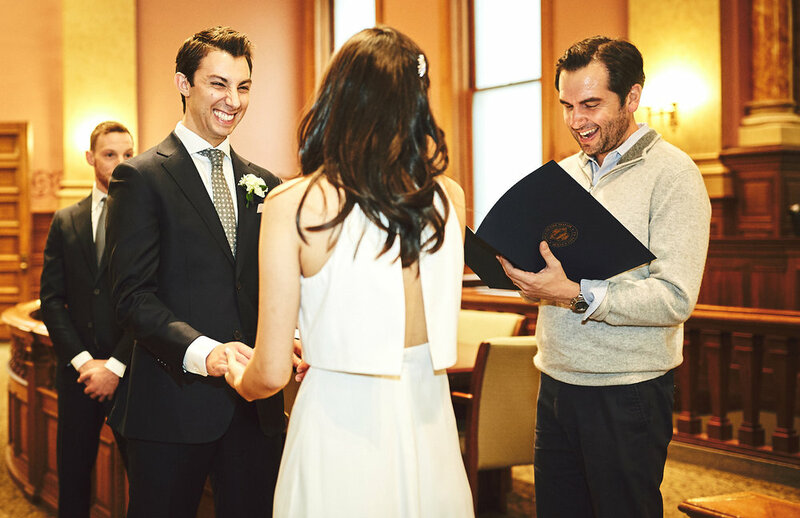 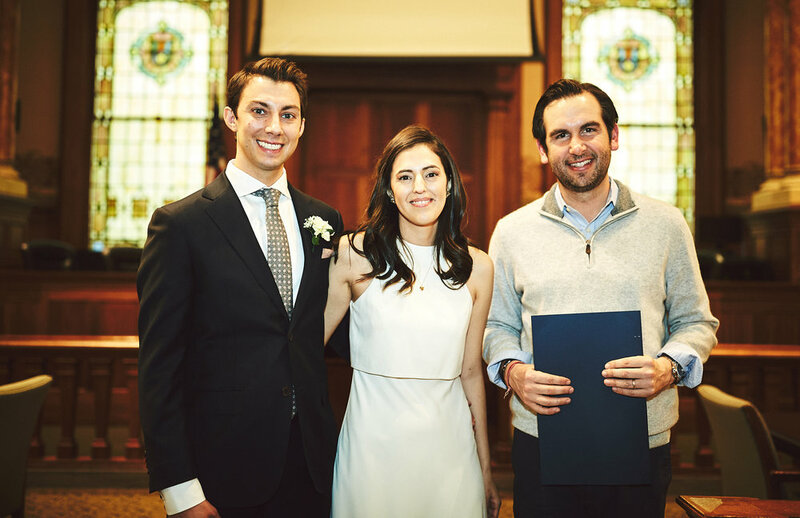 They tied the knot with Mayor Fulop as their officiant and celebrated their union under rose petals as they exited City Hall. 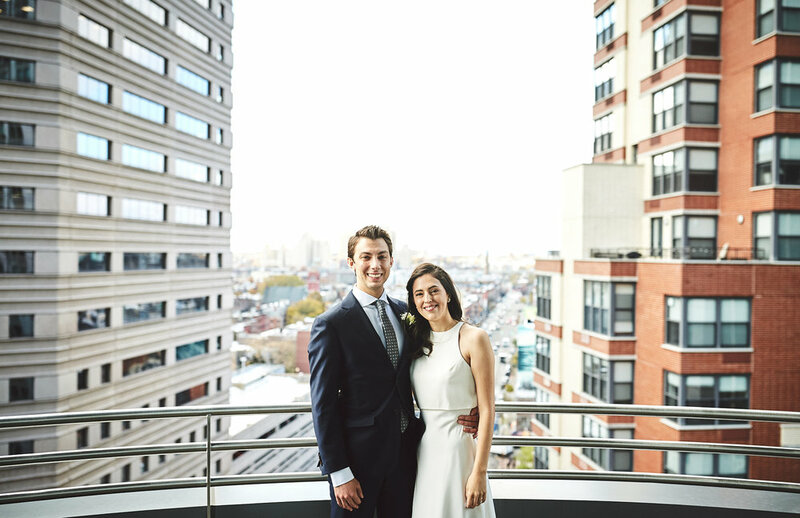 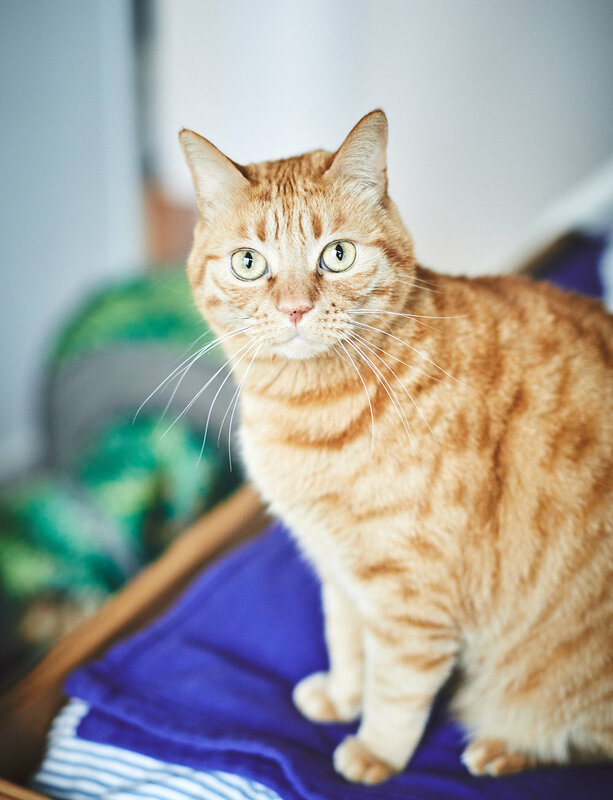 After a quick visit to their feline family members, we headed over to the waterfront for a few photos with the New York City Skyline before they enjoyed a dinner reception with friend and family in New York City. 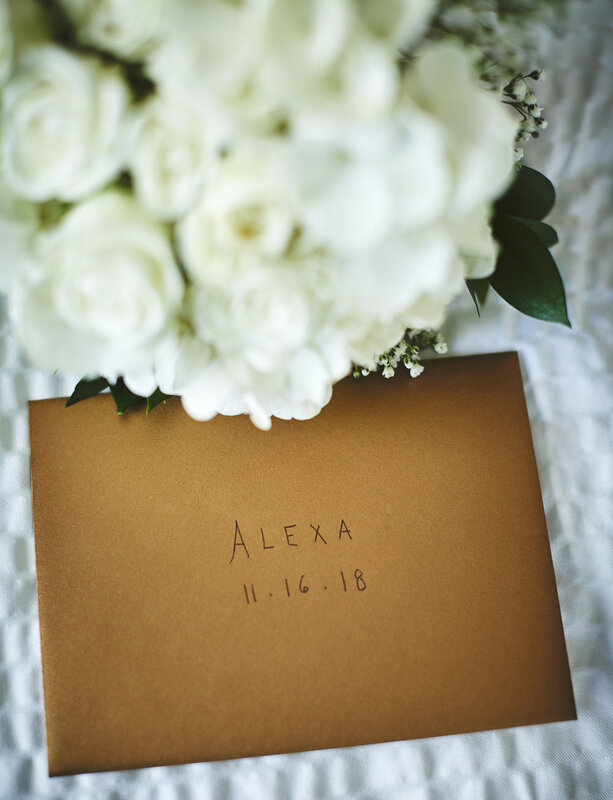 I always knew Alexa wanted to visit Paris, so this past summer we took a vacation to Europe, and it was there I proposed to her under the Eiffel Tower. 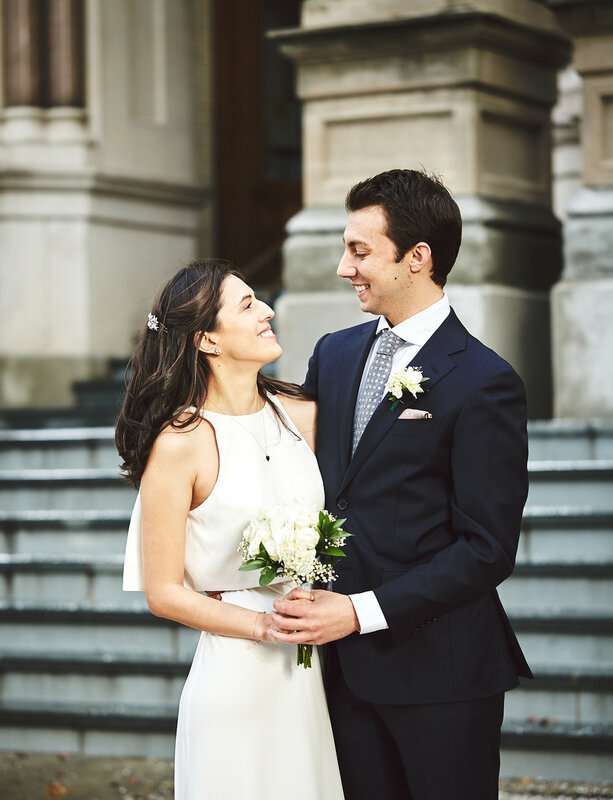 The rest of our vacation spent as an engaged couple was magical, and as we navigated Europe together I realized how amazing it was that I could continue to fall in love with her more each day. 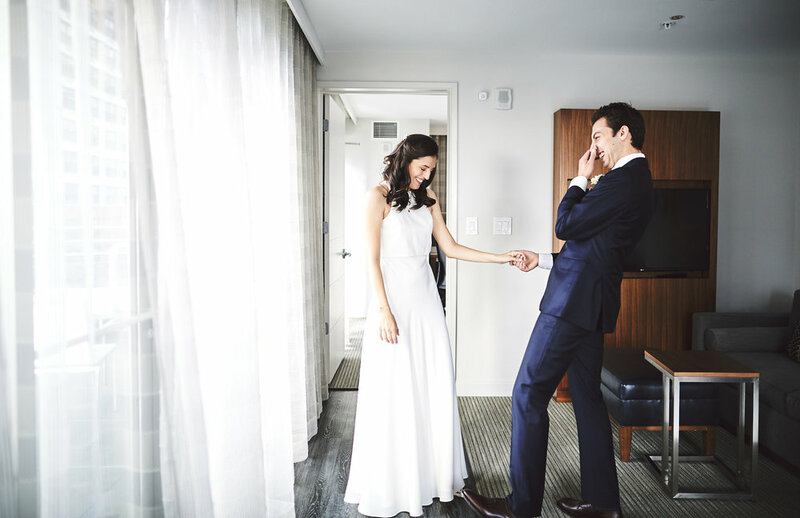 Eight years later, (...), he proposed on my birthday trip to Paris and it was a complete surprise! 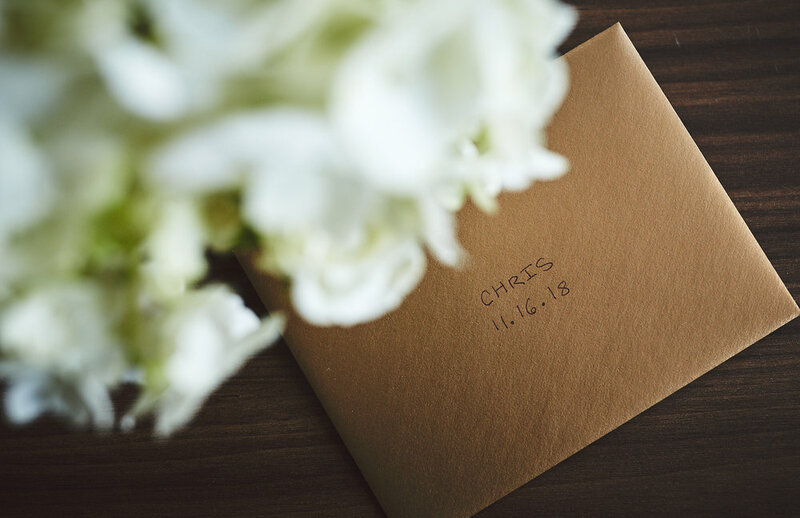 It was very simple and sweet, and I enjoyed seeing how nervous he was, especially because he never gets nervous! 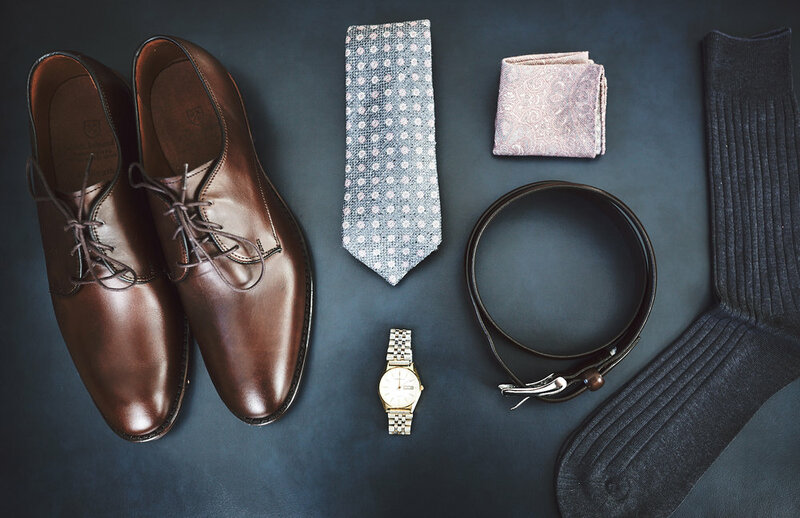 Spend money and time on the things that you really want to do. 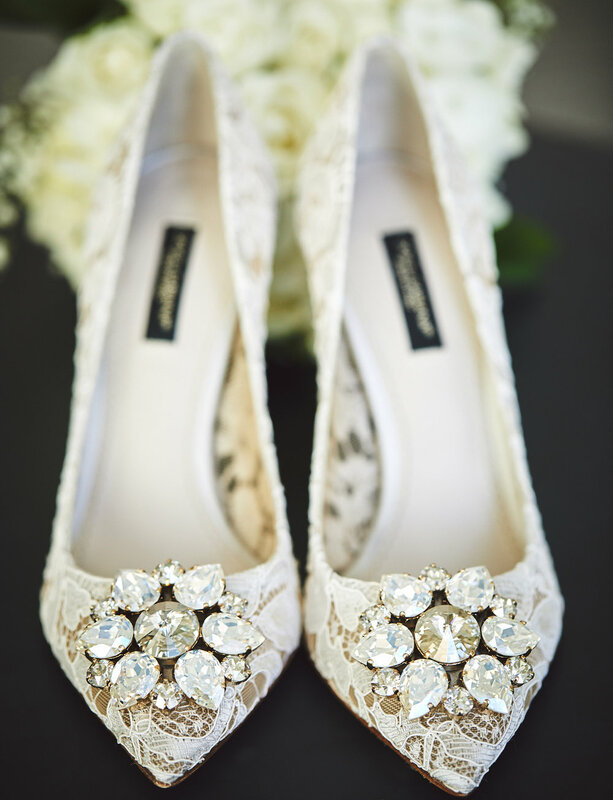 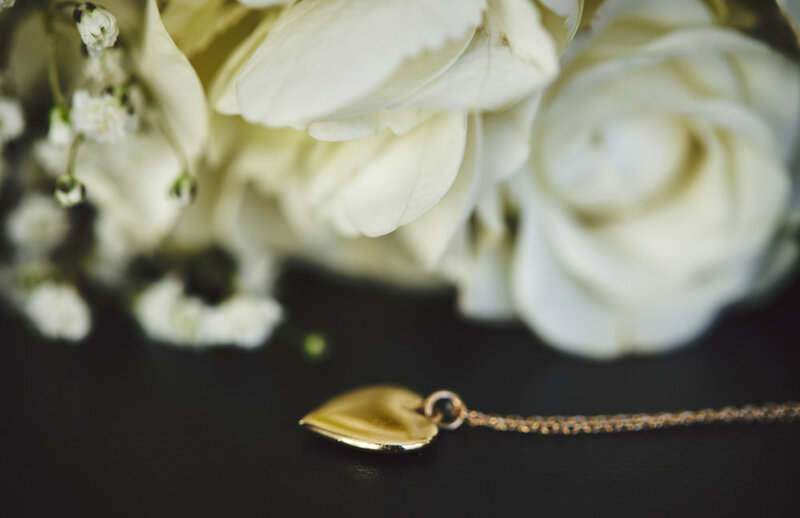 Forget about the rest.